BAKERSFIELD, Ca. — Episode 16 of the 'Runners Recap with Rod Barnes. 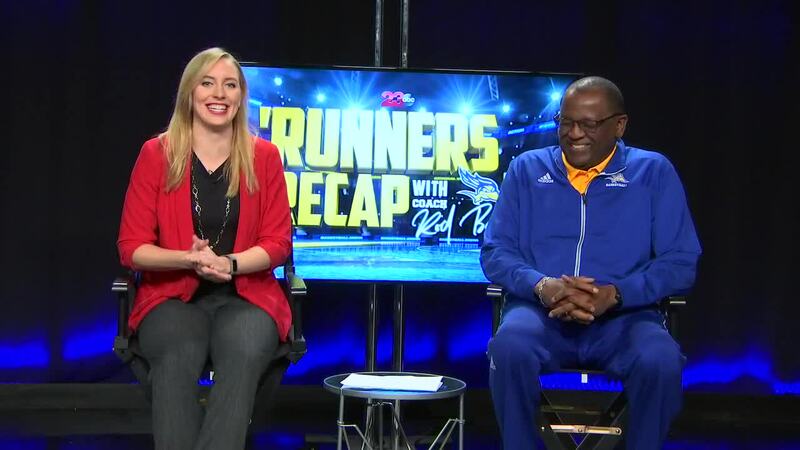 A weekly segment on 23ABC where Kari Osep sits down with head coach Rod Barnes of the CSUB men's basketball program. The 'Runners cruised past UC Santa Cruz in a mid-season nonconference game, setting up some confidence ahead of a big game against WAC foe GCU. Barnes talks about how to keep his players ready for a pressure-filled game and how the players off the bench have contributed well throughout the season. He also highlights Jarkel Joiner and Damiyne Durham for the major roles they have played for the team in the previous weeks. As always, Kari puts coach in the hot seat with random questions at the end of the segment during the 'Breakdown with Barnes'.